The great South African tenor’s many appearances with The Royal Opera included Tannhäuser, Lohengrin and the Emperor in Die Frau ohne Schatten. Johan Botha (1965–2016) was one of the great dramatic tenors of his generation. After making his professional debut in Roodepoort in his native South Africa, Botha moved to Europe in 1990. Debuts followed with the Paris Opéra (1993), The Royal Opera (1995), Vienna State Opera (1996) and the Metropolitan Opera, New York (1997), establishing Botha as a leading figure on the international stage. Botha’s first role with The Royal Opera was Rodolfo in La bohème, singing across three casts with the role of Mimì shared between Angela Gheorghiu, Deborah Riedel and Amanda Thane, and conducted by Simone Young. He returned later in 1995 to sing Cavaradossi in Tosca, again conducted by Young and with Galina Gorchakova and Maria Ewing sharing the title role. He next returned in 2001 to sing the Emperor in Strauss’s Die Frau ohne Schatten under Christoph von Dohnányi in a cast that also included Deborah Voigt as the Empress. The following year Botha returned for more Strauss, singing Apollo in two concert performances of Daphne with Alexandra von der Weth in the title role and conducted by Stefan Soltesz. In 2003 Botha sang Radames in Robert Wilson’s new production of Aida, conducted by Antonio Pappano with Norma Fantini in the title role. Botha next returned to the Royal Opera House in 2009 to sing Calaf in Turandot opposite Jennifer Wilson in the title role, conducted by Nicola Luisotti. A few months later he was back to sing the title role in Lohengrin, conducted by Semyon Bychkov and with Edith Haller as Elsa. Botha’s final appearances with The Royal Opera were in new productions, again conducted by Bychkov. In 2010 Botha sang the title role in Tim Albery’s new production of Tannhäuser, with a cast including Eva-Maria Westbroek as Elisabeth and Christian Gerhaher as Wolfram. Botha’s performances saw him acclaimed by The Telegraph as ‘that rare thing, a true Wagnerian tenor’. 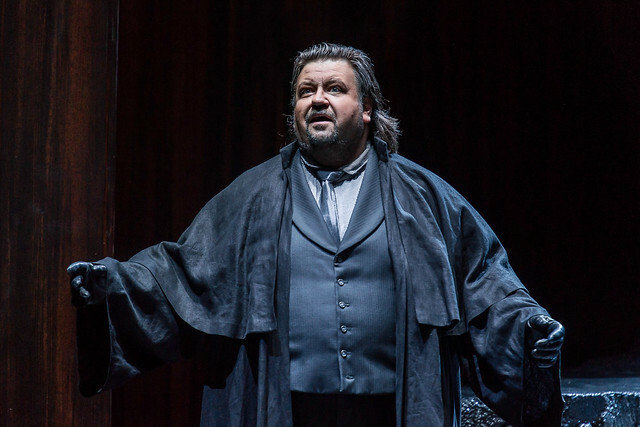 His final role with The Royal Opera was singing the Emperor in Claus Guth’s new production of Die Frau ohne Schatten. Botha was joined by a cast that included Emily Magee as the Empress, Johan Reuter as Barak and Elena Pankratova as Barak’s Wife, in what what The Independent called ‘an ideal cast’. Beyond the Royal Opera House, Botha had a close association with the Vienna State Opera, where he was made a Kammersänger in 2004. His many roles with the Metropolitan Opera included the title roles in Don Carlo and Otello, Walther in Die Meistersinger von Nürnberg, Canio in Pagliacci and Florestan in Fidelio. In his work Botha regularly collaborated with conductors including Claudio Abbado, Daniel Barenboim, Pierre Boulez, James Levine and Georg Solti. Too young to go. Very sad. And to think I never heard my own countryman sing. Thanks Johan for the glory of your voice. It will be greatly missed. Rus in vrede Grote. I'm so sad to read this news - yet another great Wagnerian to head off to Valhalla in 2016, along with Alberto Remedios - alas, and my Dad too - how I will miss being able to re-live memories of Johan's performances in Die Frau and Lohengrin.